Easy, Affordable Ways to Add Character to a New House: The Lettered Cottage. What $300,000 Buys You Around the Country: YRE. Sting Sells Central Park West Duplex for $19 Million: HuffPo. Custom Cabinets and Furniture to Drool Over: Jaeger & Ernst. How to Organize Your Garage: CasaSugar. Beautiful “Book Rooms” for Book Lovers: Occasional Enthusiast. Sneak Peek at the Sets in the New Kate Hudson Movie: Visual Vamp. Do You Dream Big? Heather Bullard. Financially Strapped Homeowners Abandoning Their Houses: MSN. How to Create a Coastal-Chic Tablescape: A Beach Cottage. Have You Been Watching Brothers & Sisters? Nora’s gorgeous kitchen caught fire last week and gave us all a scare: Nora’s House. Julia, thank you for all of the weekend links!! Have a great, relaxing one! .-= Karena´s last blog ..Opening Night Art Exhibit & Reception =-. Thanks again for your great post on my kitchen yesterday and thanks for having a great blog! Did you see Paris Hilton’s apartment pics on yahoo yesterday. That would be a great post to do. She even has a pink Bentley. .-= LeAnn´s last blog ..I still love orange part 2 =-. gee sting’s home is really “out there” isn’t it! 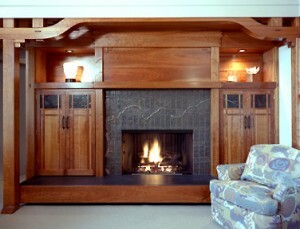 I was enjoying all the links – dreaming up things I could do to my little 1949-and-never-remodeled house. Then I read the MSN article and my blood pressure started to spike. Bad government policy that forced lenders to lower standards, essentially removing the concept of creditworthiness from the process, and permitting people to qualify for loans without enough supporting income was a massive mistake. Combine the lousy policy with foolish people who ignored the cardinal rules of managing consumer and mortgage debt, and you’ve got a recipe for disaster. More infuriating is that this incompetence is hurting everyone else who is making timely payments. There’s a part of being hooked on houses that can’t be ignored, and that’s knowing the facts of finance, and not letting your dreams overtake common sense. The concepts are easy to understand if consumers would just take the time. Quick! I need another pretty link! That Kate Hudson Movie house is so adorable, love it!! My favorite of course is the swing. I am beyond jealous of anyone who has the space (and the strength of ceiling) to hang a swing indoors. That has to be the best seat in the house. I know if I had one I would be in it 24/7!! .-= hip hip gin gin´s last blog ..Mint Julep =-. Thank you for the book room link, I’m building my own built-ins soon and need the inspiration! .-= Sara @ Russet Street Reno´s last blog ..A sticky situation =-. You should check in tomorrow btw, some MAJOR changes on the blog! .-= Dagny @ Scandinavian Chic´s last blog ..Finn Funn – The Scandinavian Bargainista! =-. Give your sweet Lily an extra birthday hug for me! My DD & hubby’s birthday were this week also. Hum, must be something in the water! Thanks for the fun links they look good! 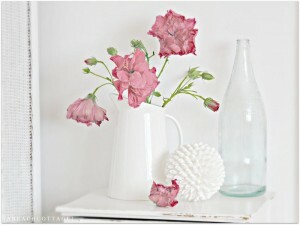 .-= THE STYLISH HOUSE´s last blog ..Crystal Rose Cottage! =-. Thanks for featuring my post Julia! .-= Layla´s last blog ..Holiday with Matthew Mead =-. A most happy and festive birthday celebration for the little one! .-= Farmerswifey´s last blog ..More babies =-. Thanks for sharing all of this with us. I love Nora’s house. I hope the kitchen is alright. Thanks Julia for the links, good or bad. I can’t stand that set from the movie. It looks like something we were all trying to avoid back in the 1970s! LOL!!!! Jano, so right you are! It was the government that ordered the bank to make the bad loans because they wanted a giveaway to voters, low income voters. The worst part about it is that they are insisting once again that banks make bad loans!!! YES! Unbelievable! People look at this and have NO qualms about walking away from a house they will never see their return back on. .-= Nichole´s last blog ..A Phone Conversation =-. I always enjoy your posts with all the links – this was a great one! Although, the only thing I like in Sting’s place is the staircase! He actually paid money for that decor? Hope the birthday party went well. Thanks for the Hope Floats pics. I love that house.